Hello! 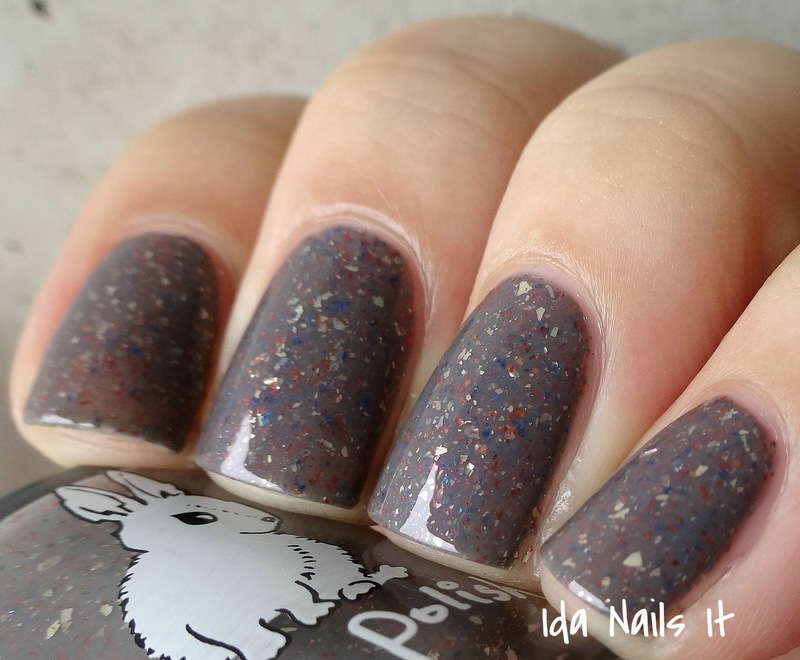 I have more Hare Polish to share with you all today. 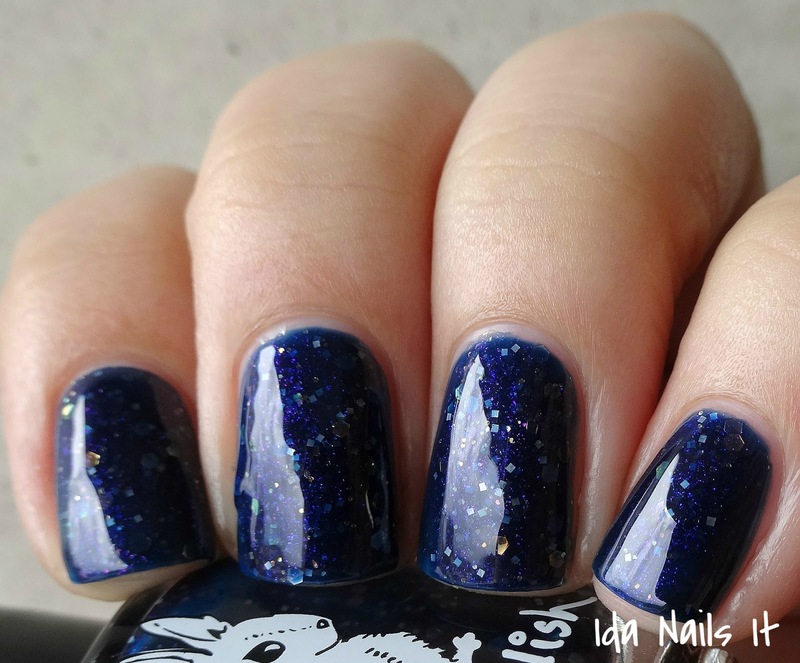 This time I have her New Year's collection, aptly named A Surreal New Year, inspired by the artwork of Salvador Dali. 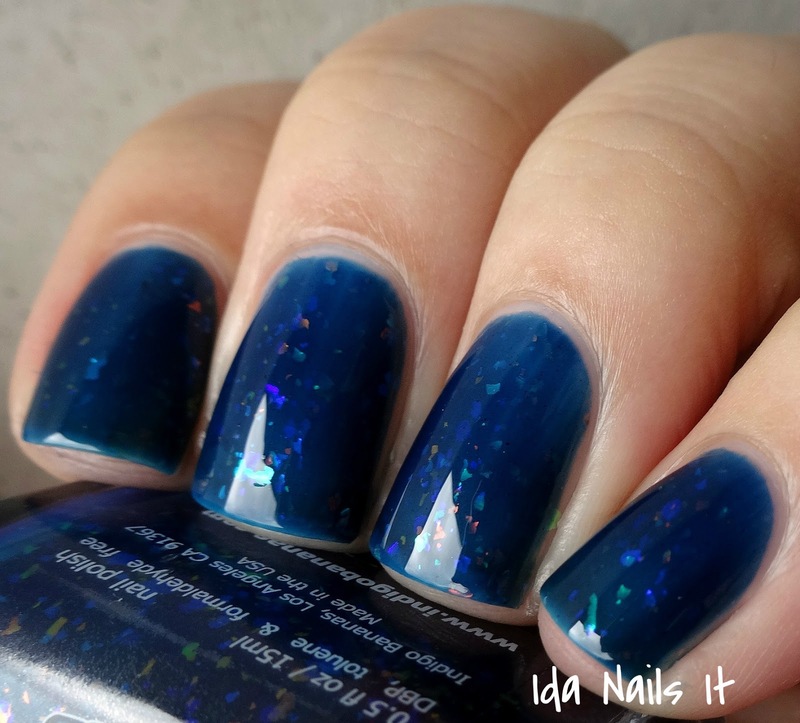 Then, the final three polishes in the post are another trio collection, this one named The Abduction of Persephone Collection, which is inspired by Greek mythology's story of how Winter came to be, specifically of the Greek goddess Demeter and her abducted daughter Persephone. 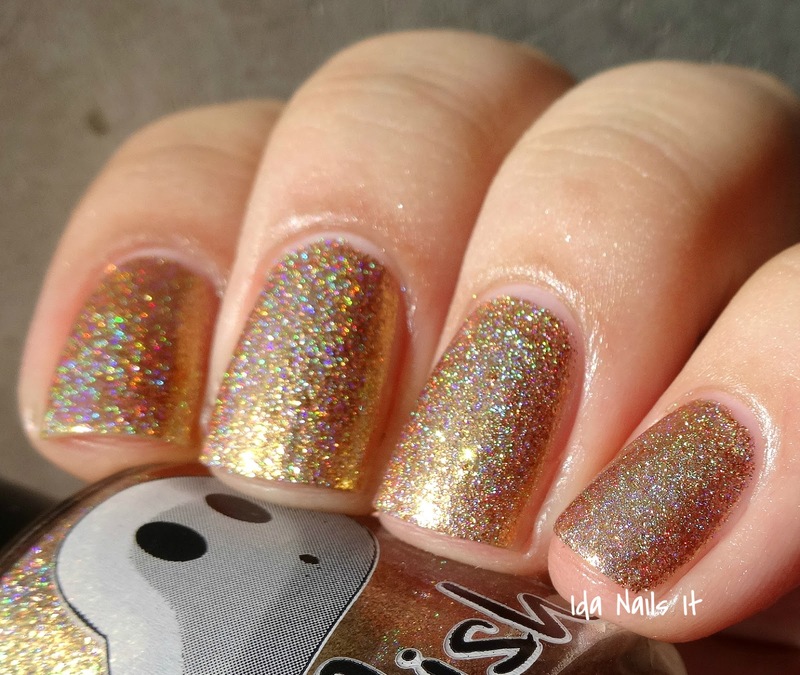 The polishes in A Surreal New Year have a colored jelly base formula with metallic chrome flakies. 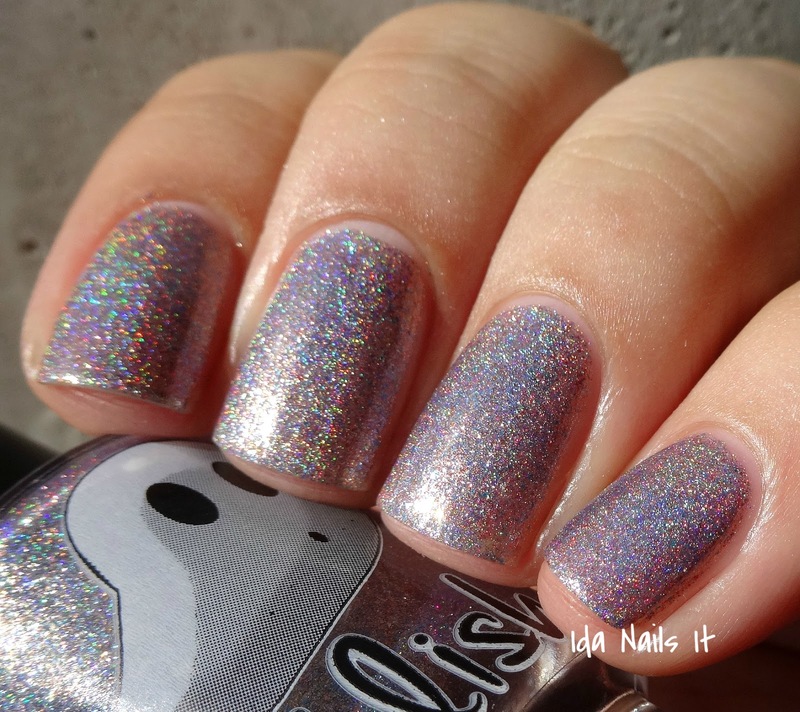 Since these are jelly based, I needed three coats for opacity. The polishes from The Abduction of Persephone Collection are also colored jelly based but they each have varied glitter. 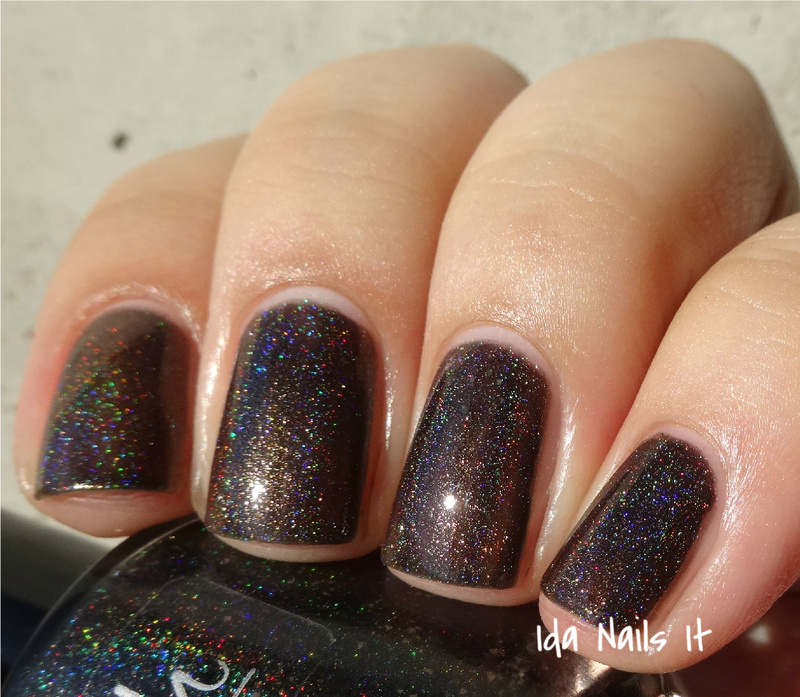 They are more opaque, I only needed two coats for coverage for each one, though I do recommend two coats of topcoat to avoid a gritty finish. Application was easy all around though. I loved all the colors in from both the trios, I know that's a very general statement but man oh man, these are so pretty in person, especially the A Surreal New Year trio. 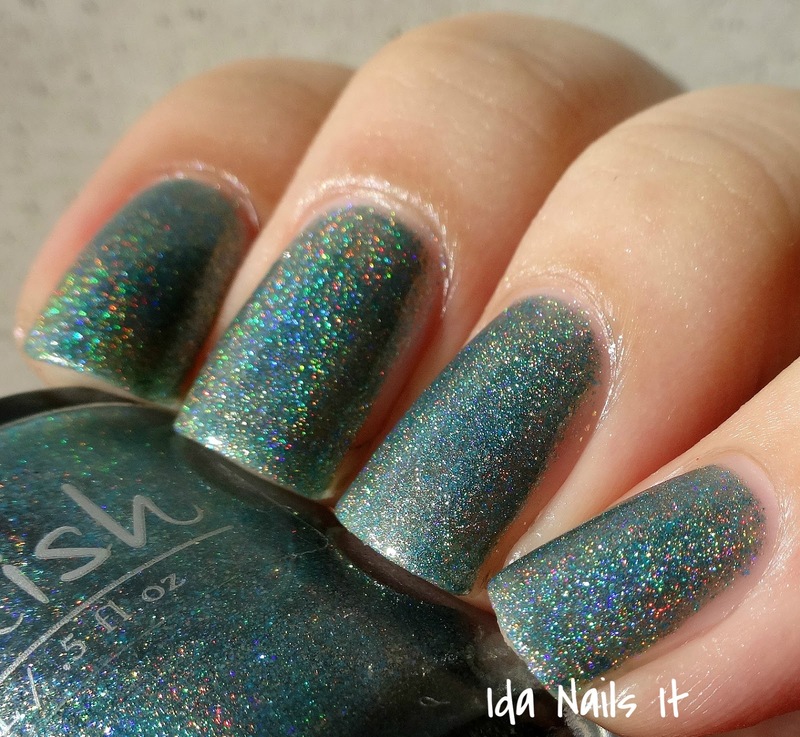 The inspiration, the names, the colors, the easy application, everything is what draws me again and again to Hare Polish. 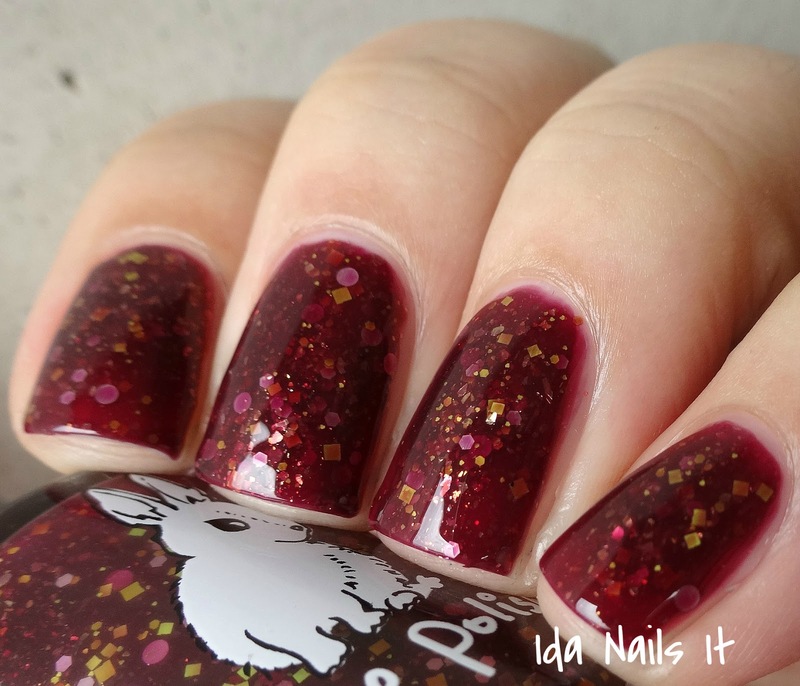 Hare Polish's shop is out of stock at the moment but I am sure she will be restocking soon. Check her Where to Buy page for her retailer list, I know many of them have received these collections. Hey guys! 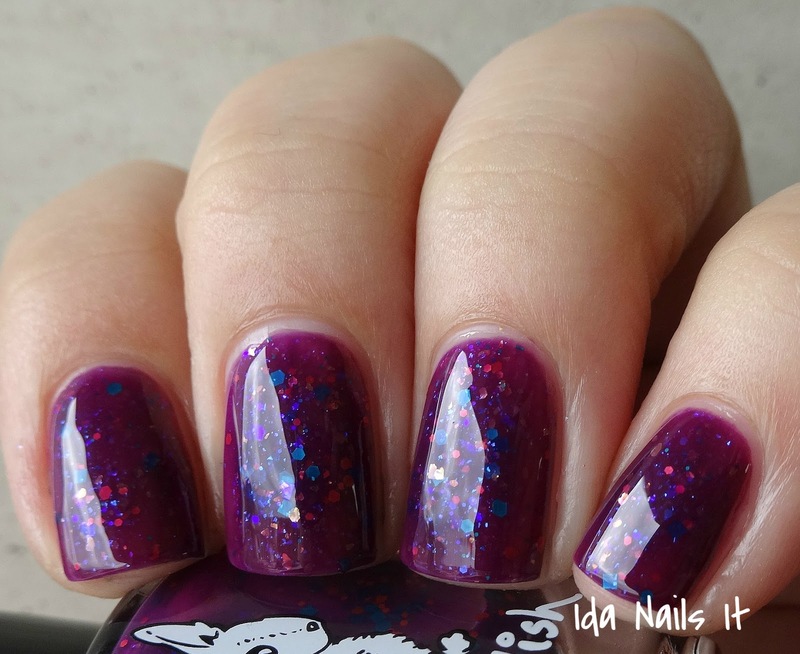 I have Hare Polish's Winter 2014: Welcome to Twin Peaks, Part 2 collection to share with you today. If you recall, the first collection of the Welcome to Twin Peaks was released last spring and those can be seen here. Since then I have actually re-watched the show and was more excited to see this collection with all it's references. 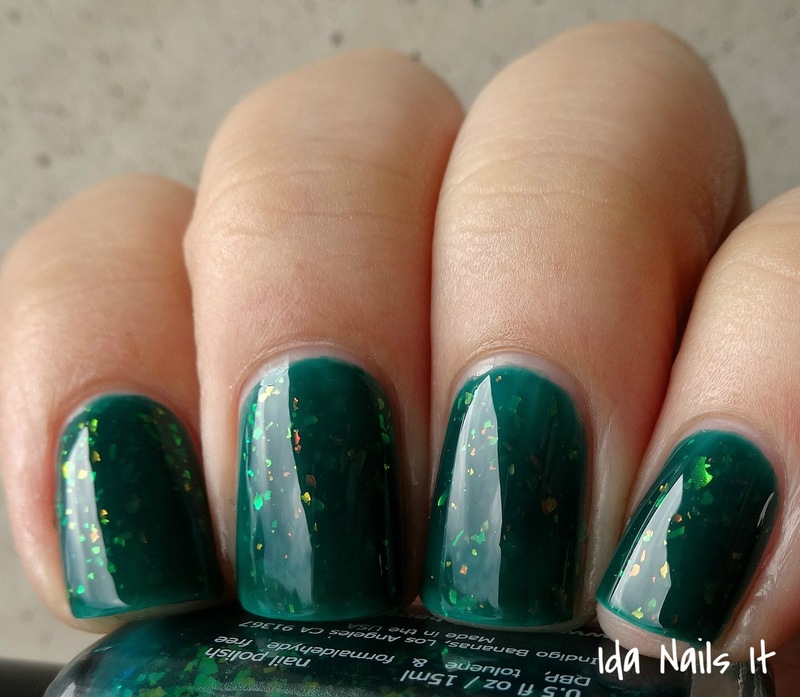 For those who have never seen Twin Peaks, you can still totally appreciate these six polishes for their awesome colors and easy of application. 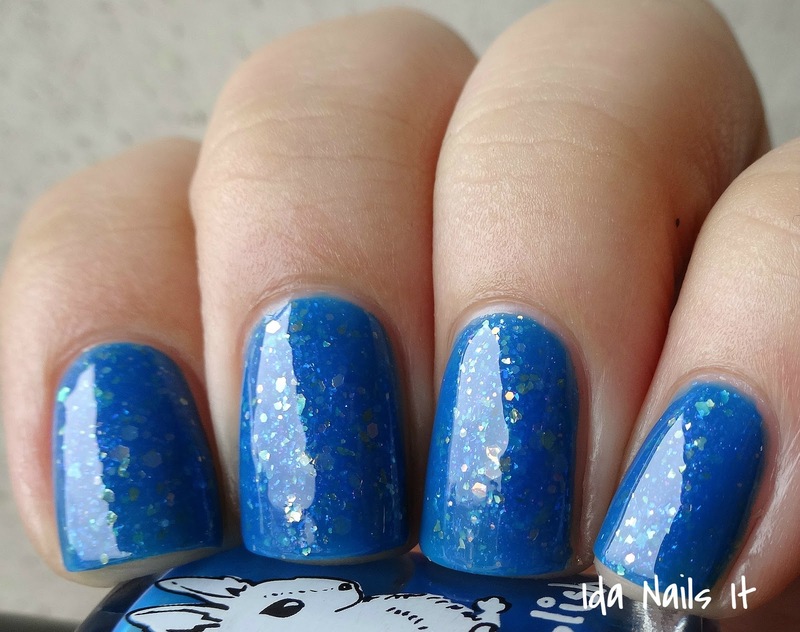 I did two to three coats for each polish shown and my regular topcoat and had no problems whatsoever. 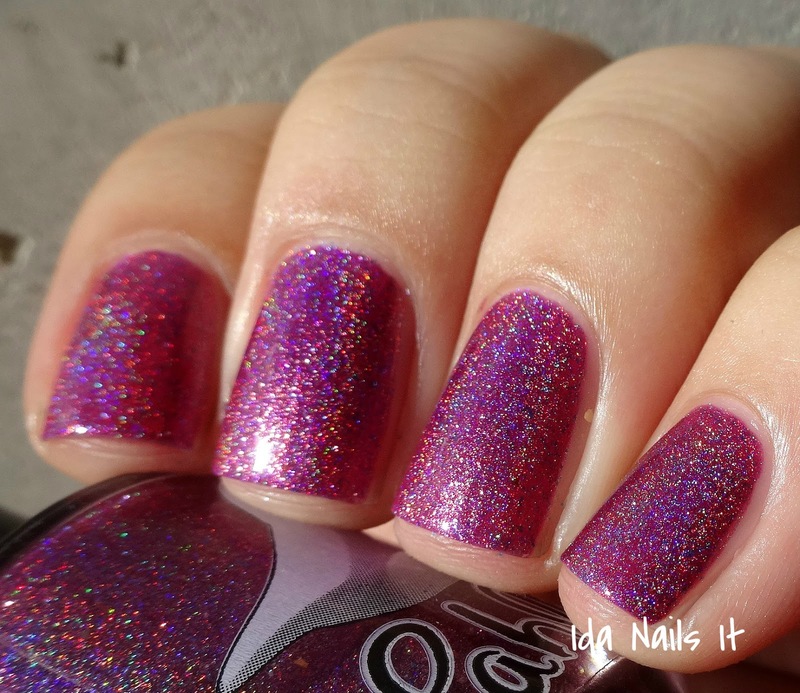 The polishes have more glitter than flakies, I do recommend applying two coats of topcoat to make sure you get a nice slick shine. 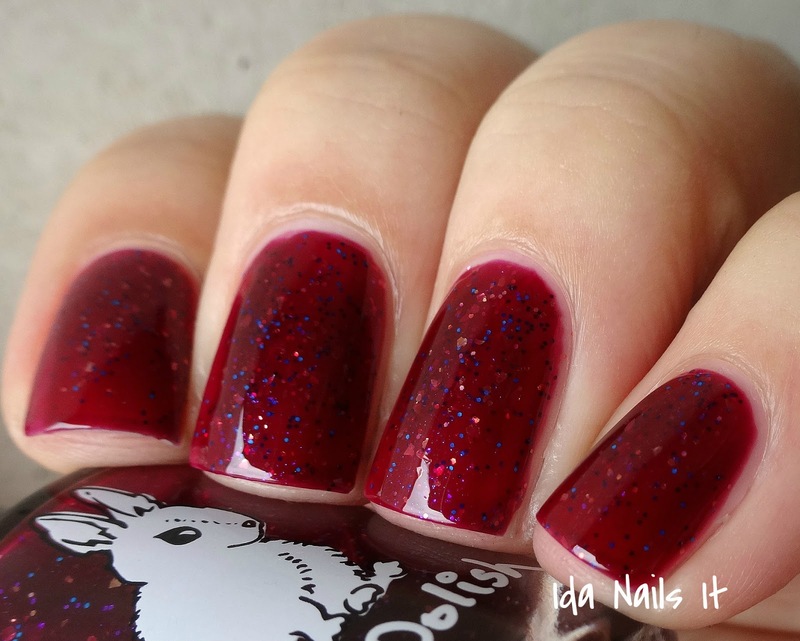 Hare Polish's shop is out of stock at the moment but I am sure she will be restocking soon. Check her Where to Buy page for her retailer list, I know many of them have received this collection. My personal favorite of the collection! Hare Polish The Norwegians are Leaving! Happy Friday! 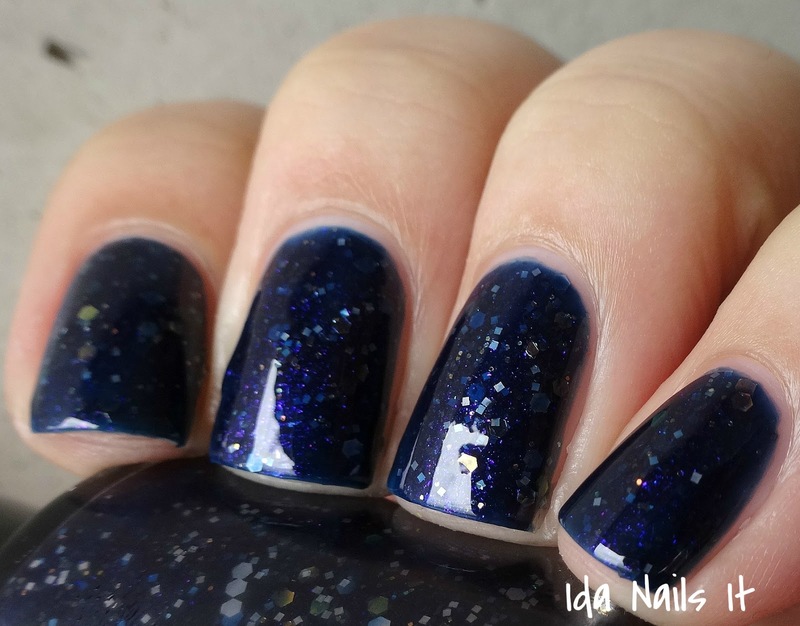 I have some more Indigo Bananas to share with you today, this time I have five of her fifteen Mega Chrome Flakies collection. 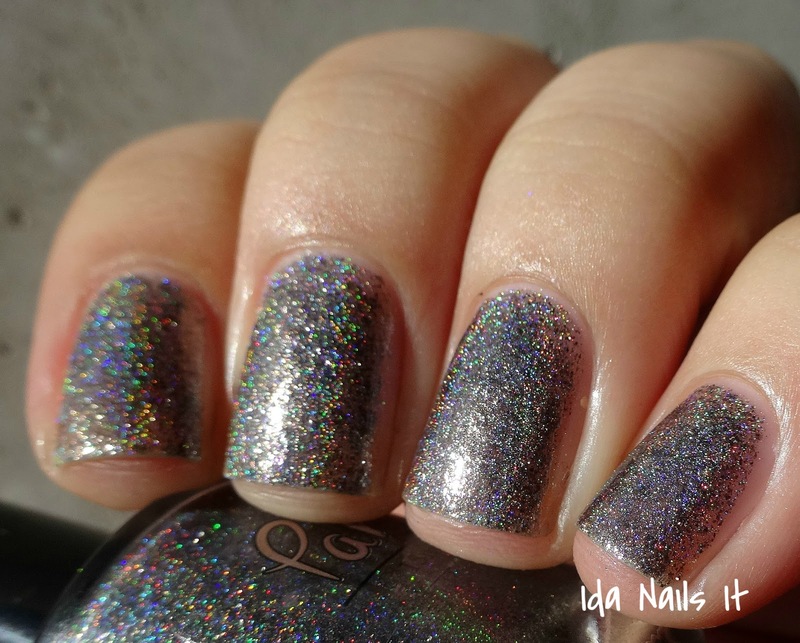 These are all metallic mega chrome flakies, so they will not have that translucent appearance like the ones in the Mythic Holiday Collection. 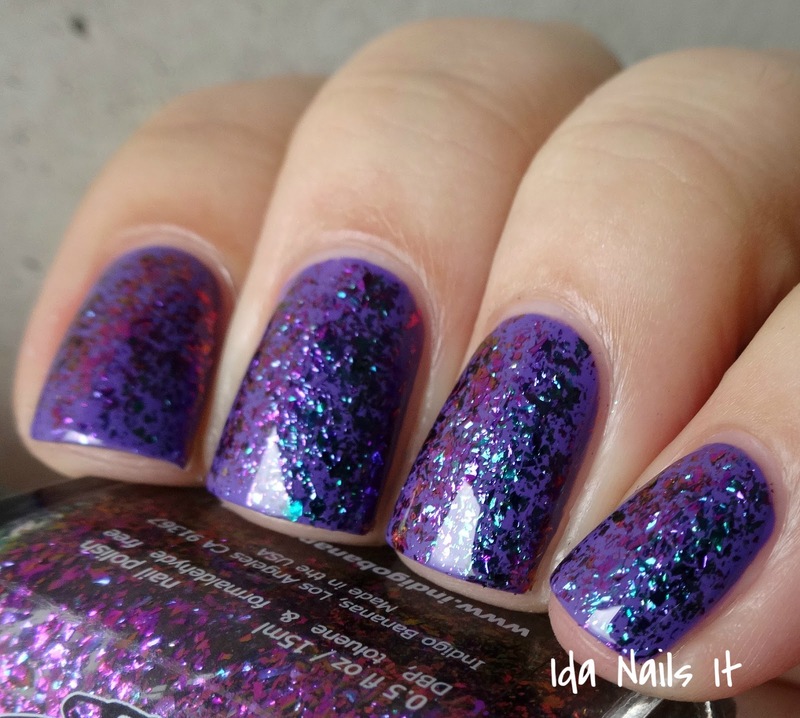 Instead, you get clear based polishes packed with these amazing color-shifting metallic flakes. 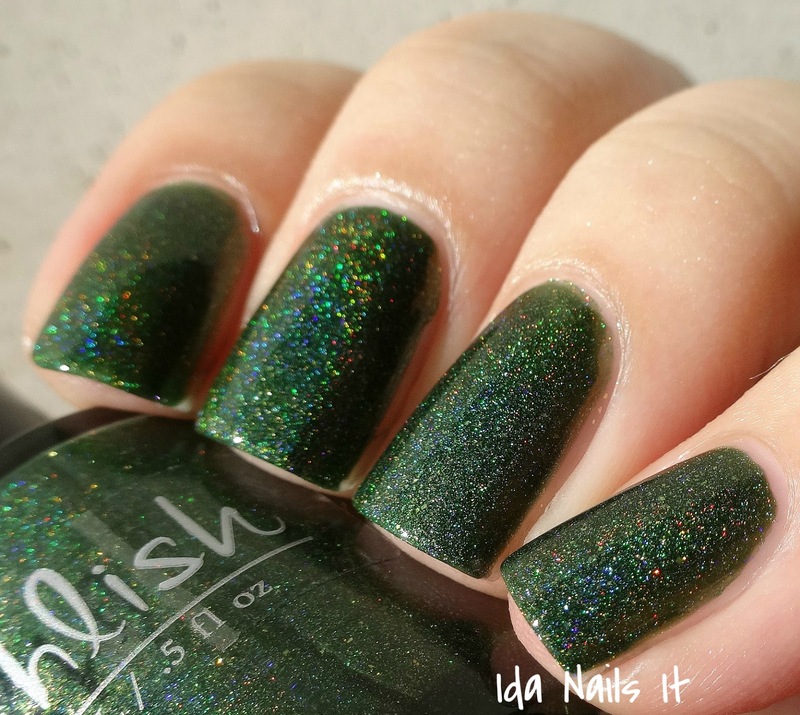 Fifteen polishes is a hearty collection number so if you wanted a line up photo for comparison, click here. 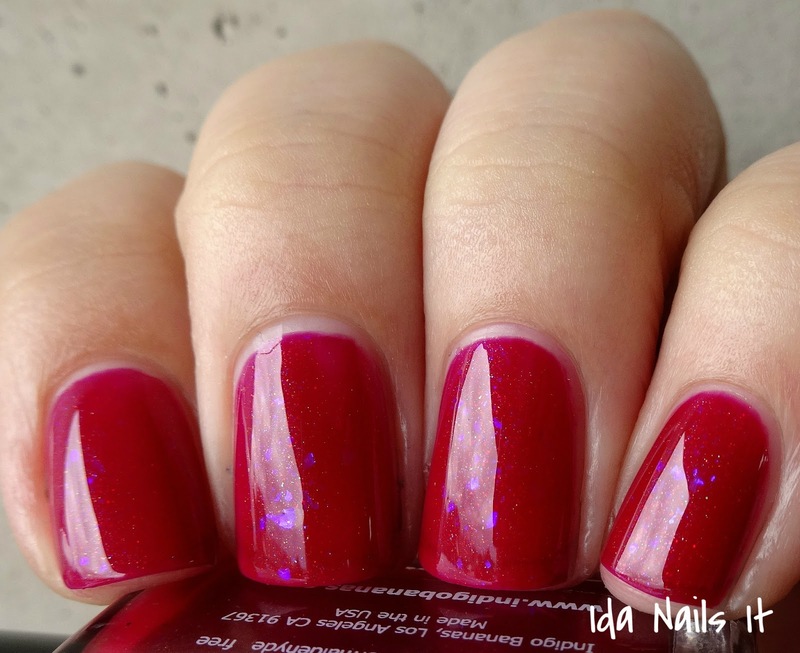 These five polishes were so easy to apply! 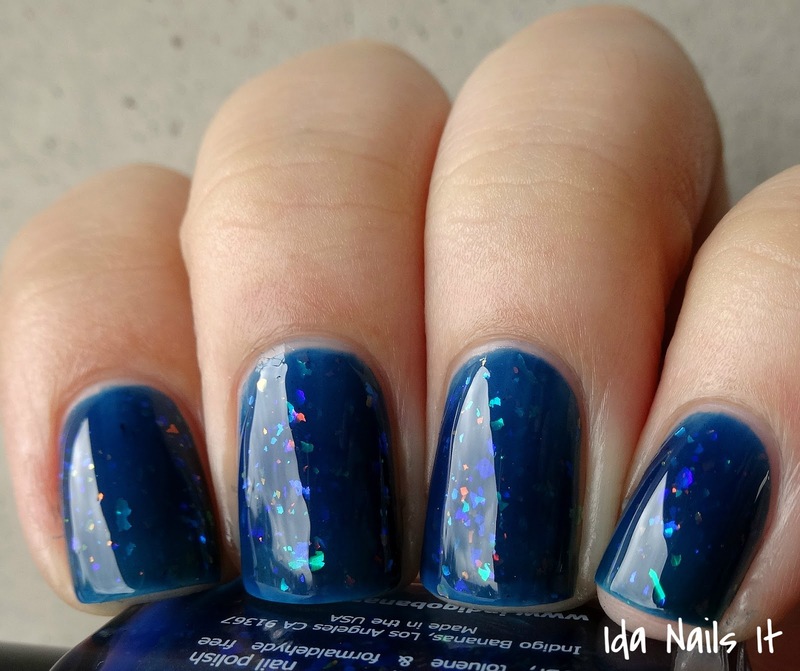 You can build to opaque coverage if you prefer to, but you will need at least four coats. 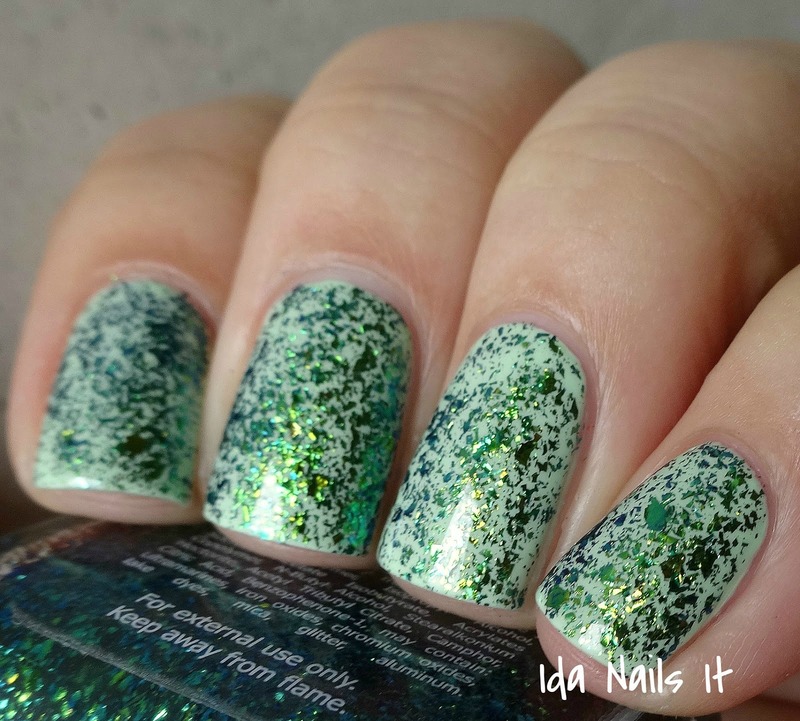 And while I usually like to do just that, with the Mega Chrome Flakies, you will get a better visual effect with layering them, which is how I decided to showcase them. 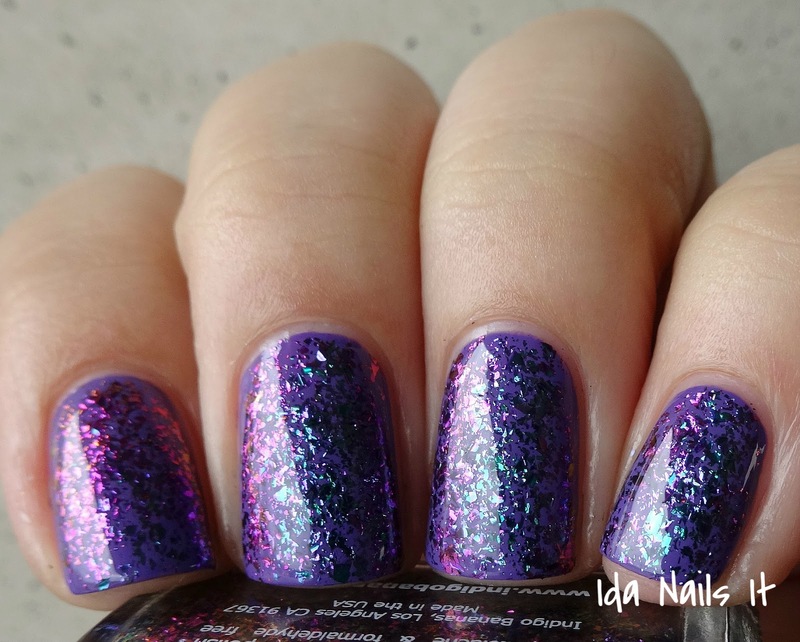 And I have found that if you layer over a pale or lighter base color, you will see the color-shifting effect more clearly than layered over black or another dark color. For each of the polishes shown here, I applied one coat over a base color and then one coat of top coat. 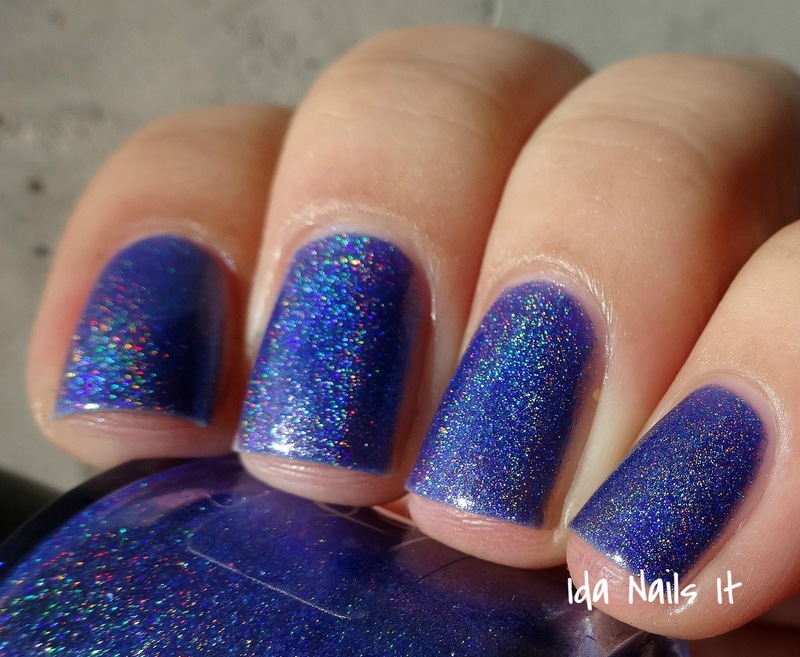 You can purchase any of the polishes posted today, along with the other ten polishes in the Mega Chromes Flakies collection in Indigo Bananas' shop right now in both mini and full size. 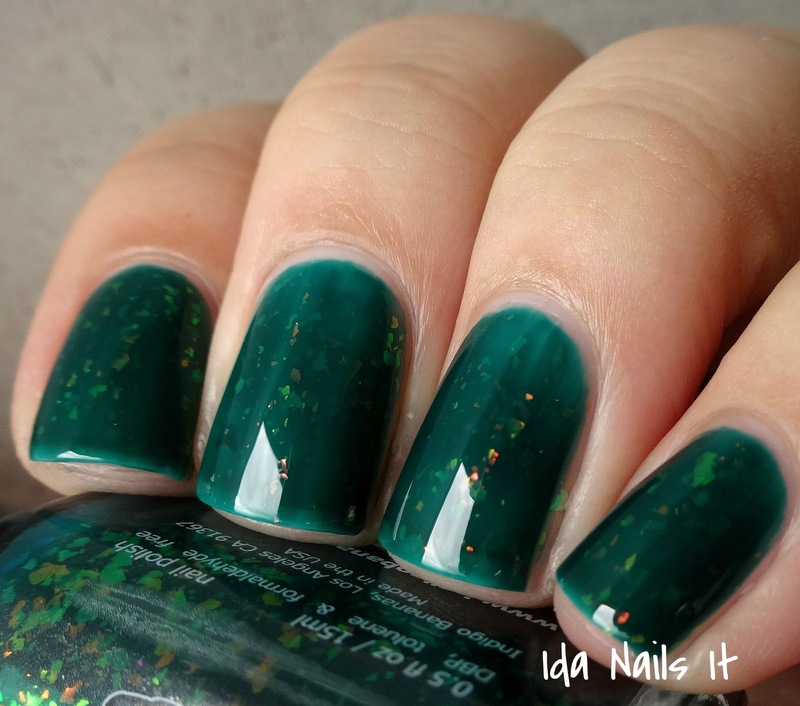 Layered over OPI That's Hula-rious! 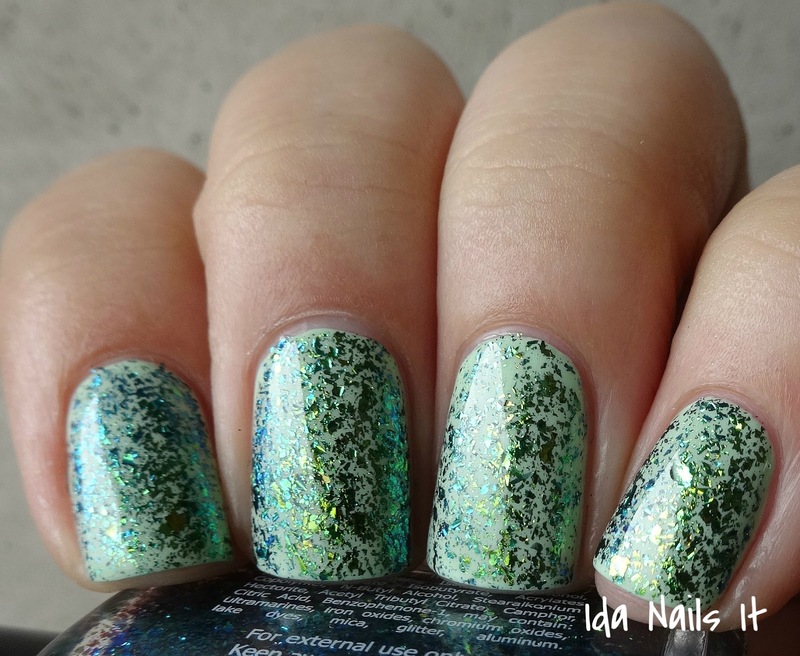 Layered over OPI Do You Take Lei Away? 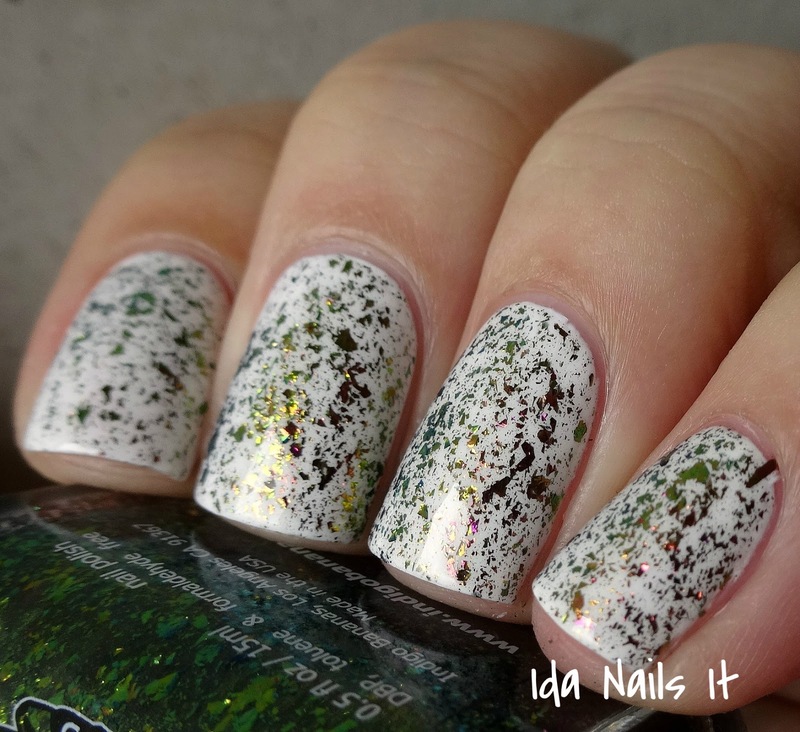 My absolute favorite base/flakies combination! Hello! 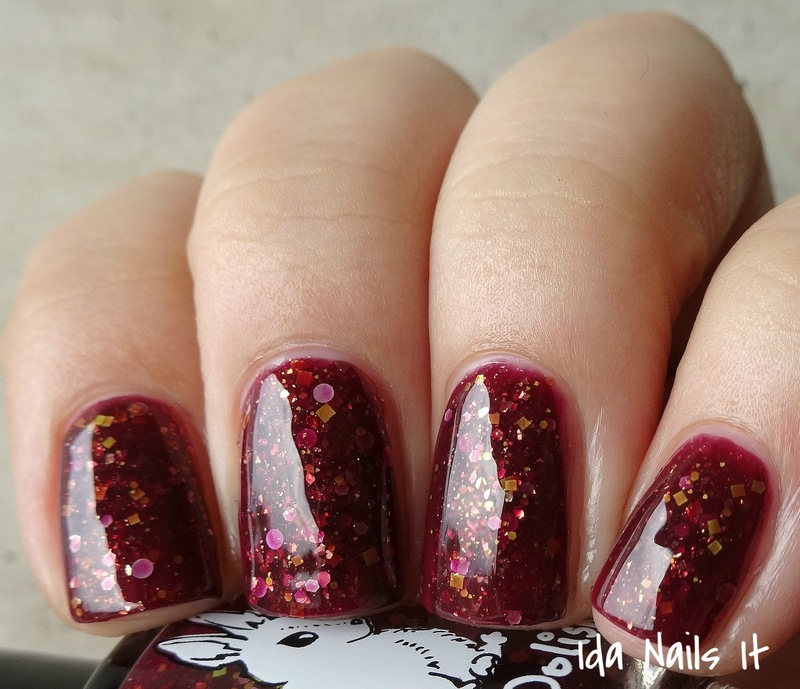 I have a number of Indigo Bananas polishes to share with you guys and the first ones up are from her Mythic Holiday 2014 Trio which were initially released in November. 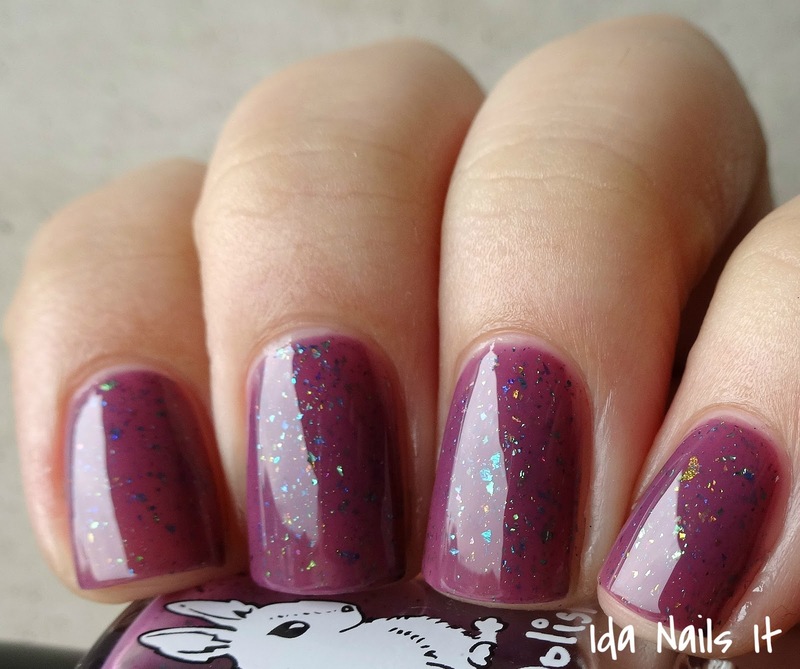 These trio consists of jelly polishes with color-shifting flakies. 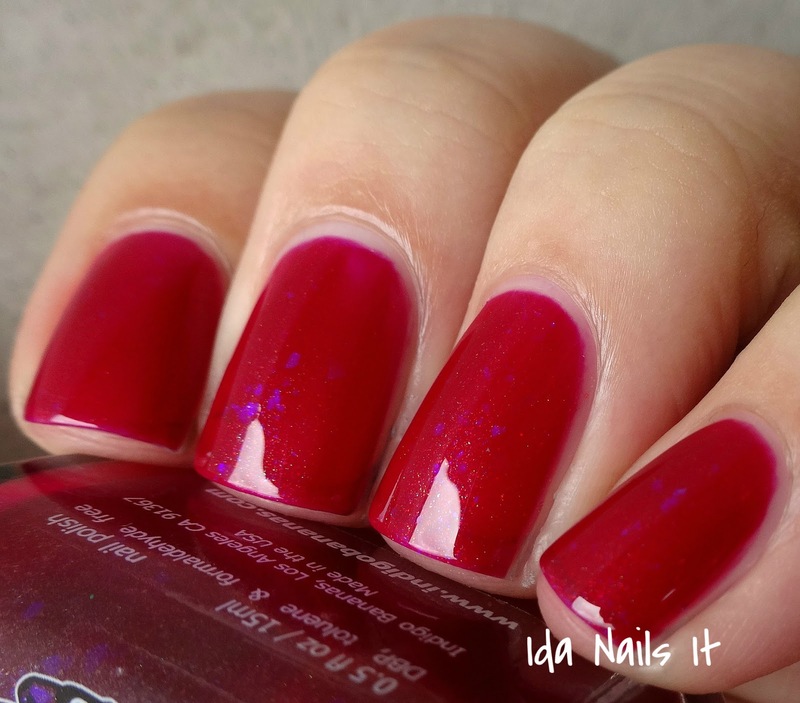 Since they are jelly based, they will require at least three coats for full coverage, though if you prefer, you could layer over a similar base color first. 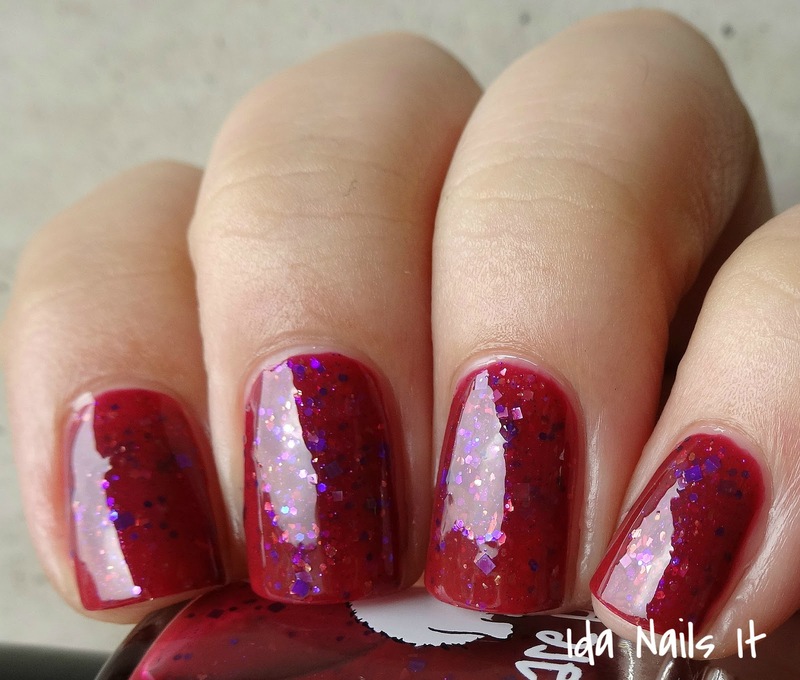 I personally like to build coats for opaque coverage rather than layer, you will get the shiny, squishy look that comes with a jelly polish that way. 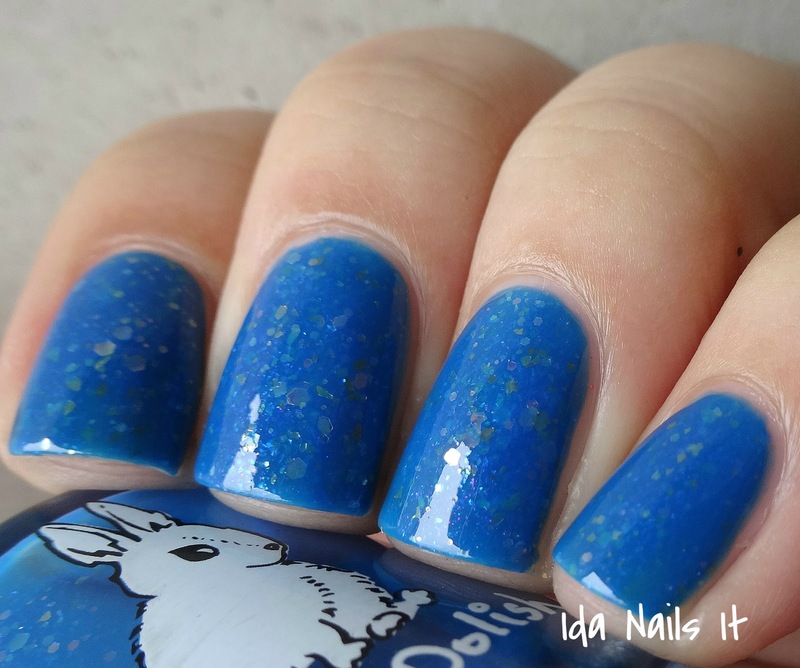 Per the Indigo Bananas' shop description, she mentions that Enchanted Lake and Sleeping Beauty may cause light staining, a good base coat or ridge filler base would be advised. 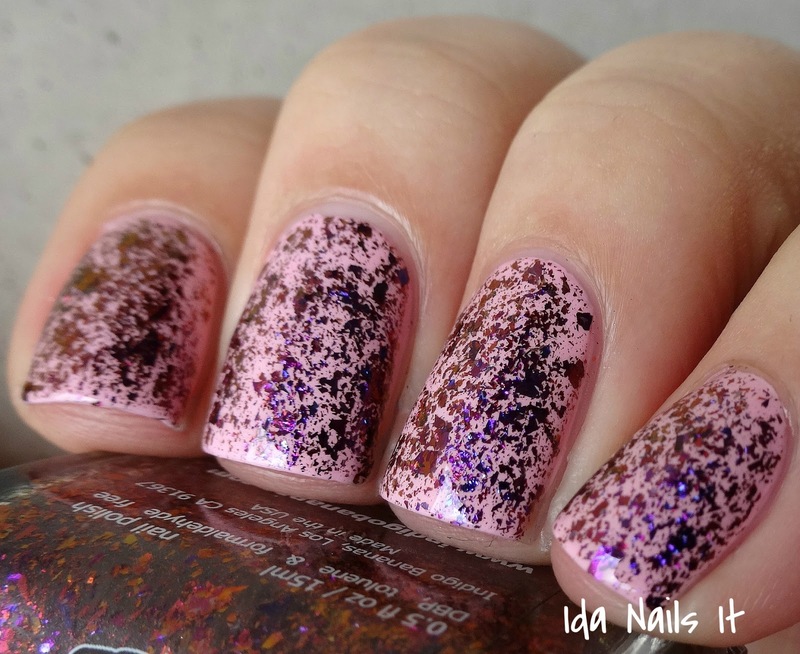 I did not have any problem with staining but I only swatched these, so they were not on my nail for an extended period. 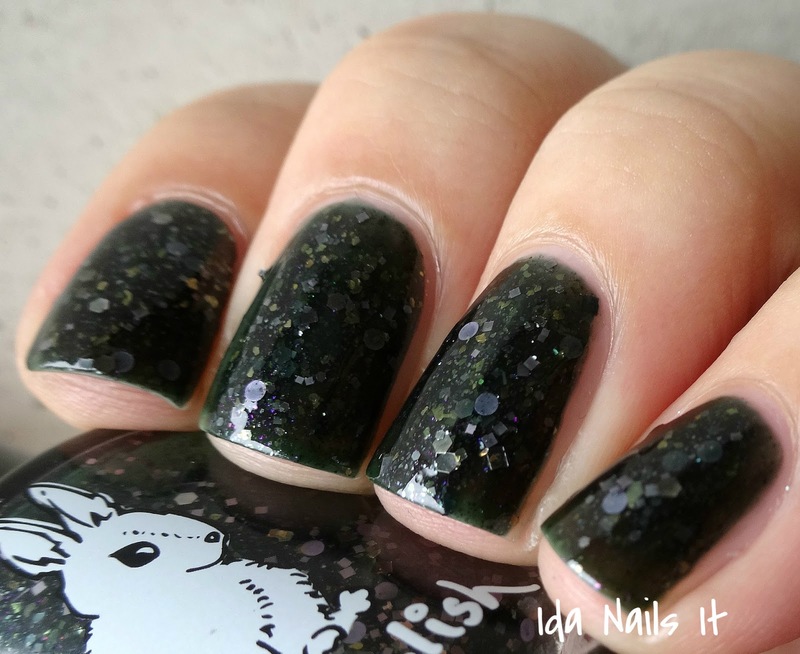 The Mythic Trio is available right now in Indigo Bananas' shop in both mini and full size. Check back tomorrow for more Indigo Bananas goodness!